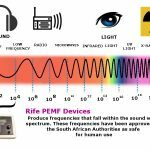 There is a wealth of information available detailing the biological workings and the scientific foundations of ozone therapies and it’s simply not possible to condense it into one web page; but the information below serves as a good indication of the effects of Medical Ozone Therapies and what you can expect them to do for you. Please don’t hesitate to contact us if you would like additional information or to schedule training etc. Ozone disrupts the integrity of the bacterial cell envelope through oxidation of the phospholipids and lipoproteins. 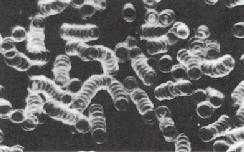 In fungi, ozone inhibits cell growth at certain stages. With viruses, the ozone damages the viral capsid and upsets the reproductive cycle by disrupting the virus-to-cell contact with peroxidation. 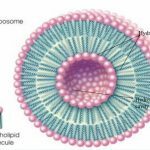 The weak enzyme coatings on cells which make them vulnerable to invasion by viruses make them susceptible to oxidation and elimination from the body, which then replaces them with healthy cells. In circulatory disease, a clumping of red blood cells hinders blood flow through the small capillaries and decreases oxygen absorption due to reduced surface area. 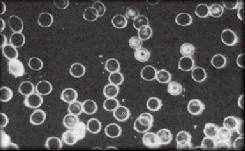 Red blood cells showing clumping before ozone treatment. Ozone reduces or eliminates clumping and red cell flexibility is restored, along with oxygen carrying ability. Red blood cell clumps broken up after ozone treatment. Oxygenation of the tissues increases as the arterial partial pressure increases and viscosity decreases. 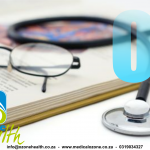 Ozone also oxidizes the plaque in arteries, allowing the removal of the breakdown products, unclogging the blood vessels. Ozone causes an increase in the red blood cell glycolysis rate. This leads to the stimulation of 2,3-diphosphoglycerate (2,3-DPG) which leads to an increase in the amount of oxygen released to the tissues. Ozone activates the Krebs cycle by enhancing oxidative carboxylation of pyruvate, stimulating production of ATP. Ozone also causes an increase in the NADH reducing process and helps to oxidize cytochrome C. There is a stimulation of the production of the enzymes which act as free radical scavengers and cell wall protectors: glutathione peroxidase, glutathione reductase, catalase, and superoxide dismutase. Production of prostacyclin, a platelet aggregation inhibitor, and a vasodilator, is also induced by ozone. Ozone inhibits tumor metabolism. In addition, ozone oxidizes the outer lipid layer of malignant cells and destroys them through cell lysis (break-down). Phagocytes produce H2O2 and hydroxyl and ozone to kill bacteria and viruses. The generation of hydroxyl by killer cells is critical to their cytotoxic capability. Ozone stimulates conversion of arginine to citrulline, nitrite and nitrate by phagocytes, promoting their action on tumors. Ozone administered at a concentration of between 35 and 55 ug/cc causes the greatest increase in the production of interferon and the greatest output of tumor necrosis factor (TNF) and interleukin 2. The production of interleukin 2 launches an entire cascade of subsequent immunological reactions.